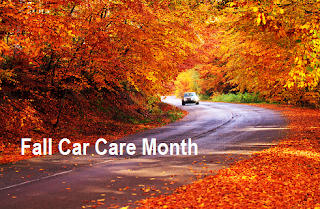 October is Fall Car Care Month, an event that aims to remind motorists to perform routine maintenance and repairs on their vehicles before the temperatures drop. Making sure your vehicle's parts are up to standard is key to preventing accidents and breakdowns during severe winter weather. Winter conditions increase the risk for problems like sluggish performance, rough idling and hard starts, so servicing and repairing your vehicles before the cold, snowy weather approaches is of the utmost importance. 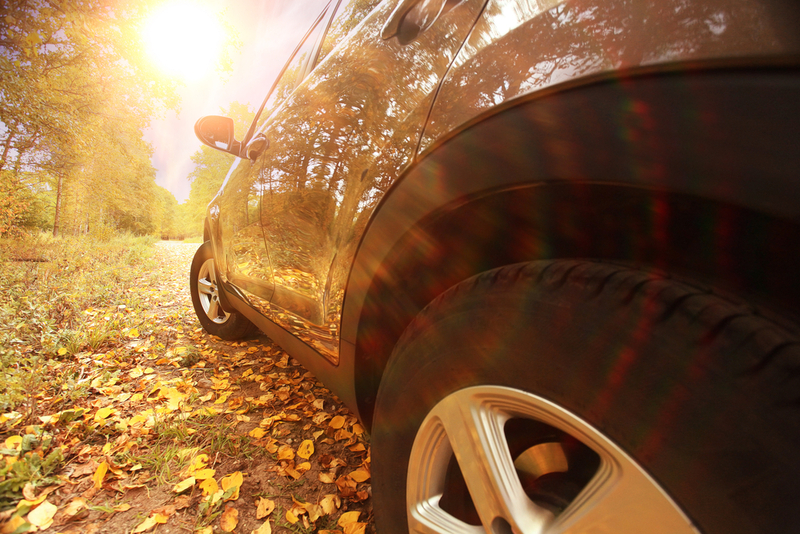 Providing maintenance during fall will help ensure you get all the parts and repairs you need in time for the season. Battery: Winter conditions can be tough on your battery. Without a fully charged battery in good condition, your vehicle will be unable to start in cold weather. Test your battery and charging system to ensure they're in good condition. Completely charge your battery, and replace it if necessary. Make sure the connection is tight and free from corrosion. Tires: If you live in a region that experiences severe winter conditions, install snow tires on all four wheels. All-season tires with an adequate tread depth are sufficient for light-to-moderate snow conditions. Inspect the tire tread depth and tire pressure of all four tires, as well as the spare. Replace tires with less than 3/32-inches of tread. During the winter, tire pressures can drop, so you will need to check the pressure weekly. Make sure your tires have the appropriate amount of pressure, which can be found in on a sticker by the driver's side door jam and in the owner's manual. Brakes: The brakes are your vehicle's most important safety feature. To eliminate the risk of your brake system failing, have it inspected by a trained technician to ensure it is in working order. Windshield Wipers: Your windshield wipers should be replaced every six months. Test your wipers to make sure they are working properly. If the blade isn't fully clearing the glass or leaving steaks, you need to replace it. For your washer fluid, use a cleaning solution containing antifreeze to prevent it from freezing. Lights: See that all the interior and exterior lights are in working order, and replace any burnt out bulbs. Fluid and Coolant Levels: Make sure the transmission, brake and power steering fluids and coolant are at or above the minimum safe levels. Heating System: Your heating system is critical to your comfort, as well as safety. Check that your heater and defroster are operating efficiently. Emergency Kit: Equip your vehicle with an ice scraper and snow bush, and store them where they are easily accessible. Also carry an emergency kit with a flash light, jumper cables, first-aid kit, bottled water, non-perishable food, blankets, warning devices and extra clothes. To ensure your vehicle is ready to tackle the winter season, take your car to 1800 Auto Land. As one of the leading car dealers in NJ, we have certified technicians available to service your vehicle. Contact us today: (877) 537-6035. Introducing the $109 New Car Lease Event!